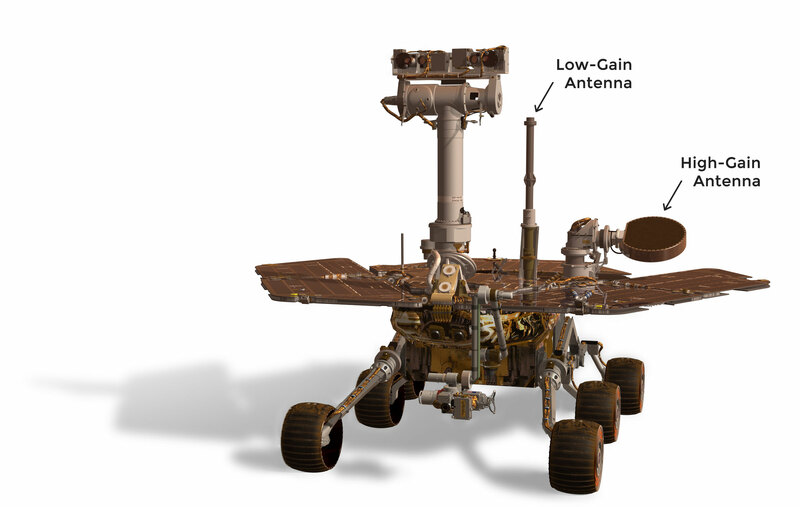 The rover has both a low-gain and high-gain antenna that serve as both its "voice" and its "ears". 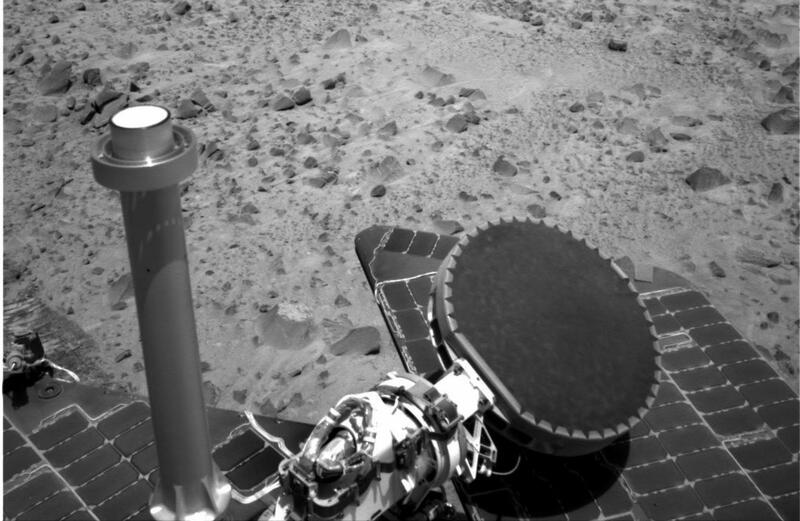 They are located on the rover equipment deck (its "back"). The low-gain antenna sends and receives information in every direction; that is, it is "omni-directional." The antenna transmits radio waves at a low rate to the Deep Space Network (DSN) antennas on Earth. The high-gain antenna can send a "beam" of information in a specific direction and it is steerable, so the antenna can move to point itself directly to any antenna on Earth. The benefit of having a steerable antenna is that the entire rover doesn´t necessarily have to change positions to talk to Earth. Like turning your neck to talk to someone beside you rather than turning your entire body, the rover can save energy by moving only the antenna. Not only can the rovers send messages directly to Earth, but they can uplink information to other spacecraft orbiting Mars, utilizing the 2001 Mars Odyssey and Mars Global Surveyor orbiters as messengers who can pass along news to Earth for the rovers. The orbiters can also send messages to the rovers. The benefits of using the orbiting spacecraft are that the orbiters are closer to the rovers than the Deep Space Network antennas on Earth and the orbiters have Earth in their field of view for much longer time periods than the rovers on the ground.